I haven't been crafting as much as I would like lately, and I've definitely been neglecting the blog. But I do have a fun and easy birthday card to share today. 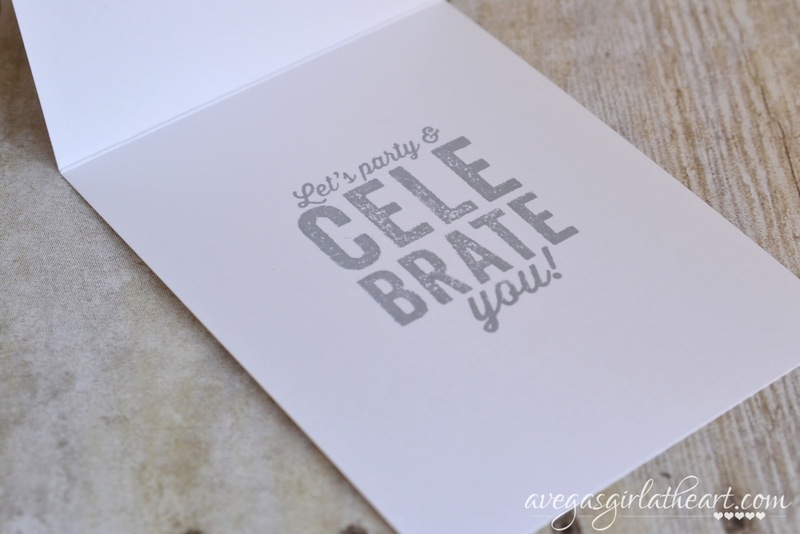 This card is a single layer, made with stamping and a little bit of sparkle. 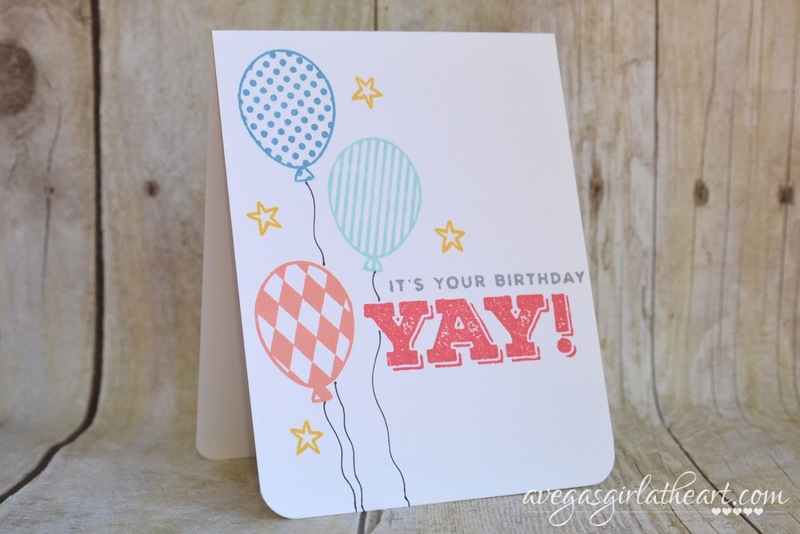 I used three different stamp sets - Simon Says Stamp's Big Birthday Wishes, Avery Elle's Cake & Candles, and balloons2cut from The Stamps of Life. I used a bunch of Hero Arts Shadow Ink cubes for my stamping - Soft Granite, Butter Bar, Pale Tomato, Soft Pool, Pool, and Soft Cantaloupe. I just thought the colors went well together and made for a bright, fun card. The cubes are perfect to try out a bunch of colors without spending a lot of money. You can find a few of them here. For the strings on the balloons I just added them with a grey Staedtler fine liner pen. I've had these pens for years and they're perfect for coloring in tiny places or outlining. I also use them in my planner. 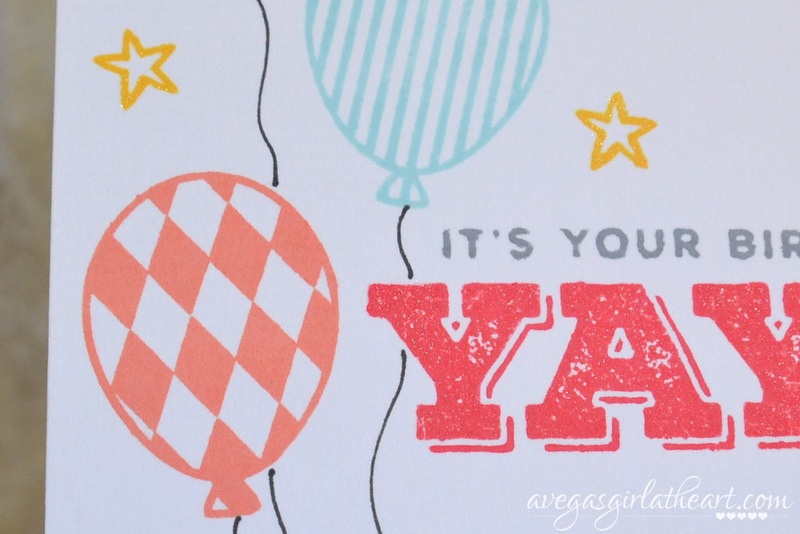 I used a clear Wink of Stella brush pen to add a little shimmer to the outlined stars and the 'Yay' on the front of the card. Its very subtle, so hard to see but if you look close in the photo above you can see a bit of sparkle. Inside the card I stamped another sentiment from the Big Birthday Wishes stamp set in Soft Granite Shadow Ink. And then to finish off the card I rounded the corners using the yellow WRMK Corner Chomper. I have both the teal and yellow but I like the size of the corner on the yellow one. I enjoyed challenging myself to use only stamps on a card and not have it feel like something was missing. 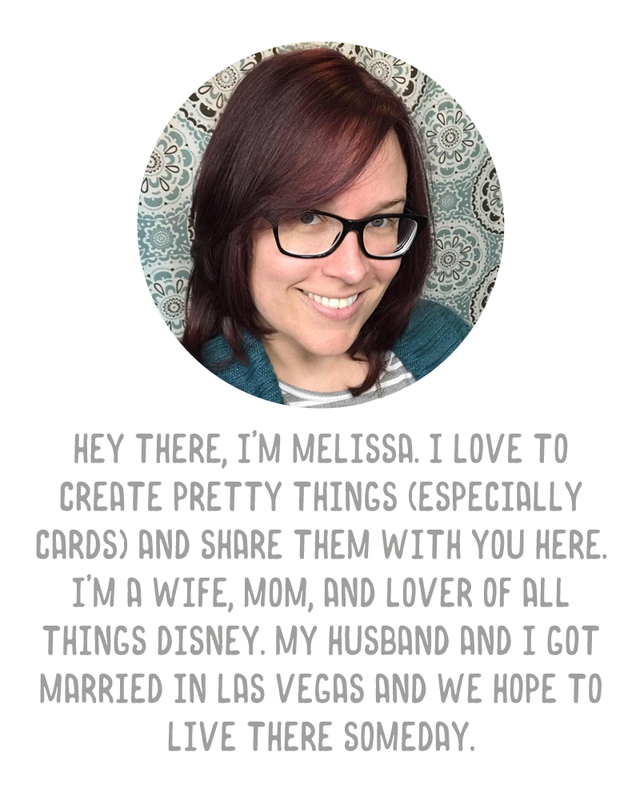 And as usual, I hope I can get back to crafting and sharing here more often. Have a great and creative week everyone! Yeah... methinks I need to get some of those inks.